Xerox’s annual meeting held Tuesday marked the end of one era in the company’s leadership and the start of another. 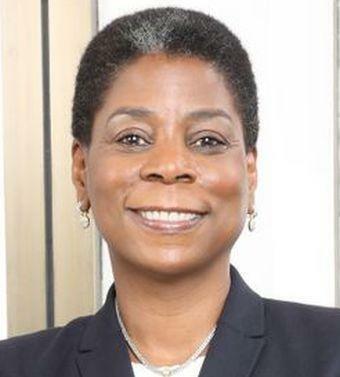 For the first time in a number of years, Ursula Burns is no longer a top official with Xerox. She has been with the company since 1980, and was CEO for several years until late last year when the company split into two separate businesses, one focusing on document technology called Xerox, and the other concentrating on business services, named Conduent. Burns had still been chairman, but that came to an end at the company’s annual meeting held in Connecticut Tuesday. “I will see you next year, not as an employee but as large shareholder in Xerox stock. I thank you for all of the support and attentiveness that you’ve paid to our company over the last 38 years,” Burns told the gathering in Norwalk. At Brighton Securities, George Conboy says he would give Burns a solid ’B’ if asked to give her a letter grade. Conboy says Xerox’s stock price didn’t do much while Burns was CEO, but at least the company has stayed in business where others have failed. Also on Tuesday, Xerox named Robert Keegan as non-executive chairman of the company. Keegan, who is a former CEO of Goodyear, has been on Xerox’s board since 2010. And during the annual meeting, Xerox shareholders approved a one-for-four reverse stock split. That split is intended to increase the per share trading price of Xerox common stock and officials say it should improve its liquidity and facilitate its trading.